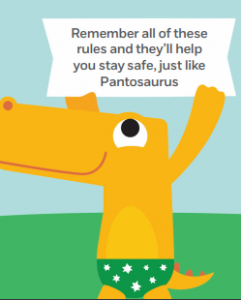 PANTS resources for schools and teachers were developed last year by the NSPCC Learning group. They are freely downloadable resources to teach ‘The Underwear Rule’ in a fun but memorable way. It will be a real help for teachers who need to cover this very delicate and possibly embarrassing topic. The fun element should help take away the embarrassment, or at least make it more bearable! The lesson plan is for an hour-long lesson with a template letter for parents. It is supported by teaching resource guidance, a PowerPoint presentation and a cartoon animation. This resource has been given the quality mark by the PHSE Association. These PANTS posters could be put up in all of the school toilets where children could study them privately. The PANTS Resources are useful for all primary schools.